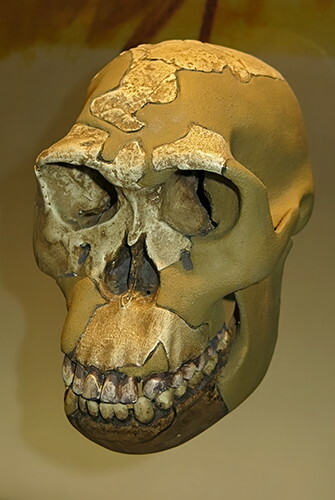 Homo Habilis was a species of the tribe Hominini, during the Gelasian and early Calabrian stages of the Pleistocene period, which lived between roughly 2.1 and 1.5 million years ago. The type specimen is OH 7, discovered in 1960 at Olduvai Gorge in Tanzania, associated with the Oldowan lithic industry; the fossils were identified as a separate species of Homo with the proposed binomial name of Homo Habilis('handy man') in 1964. 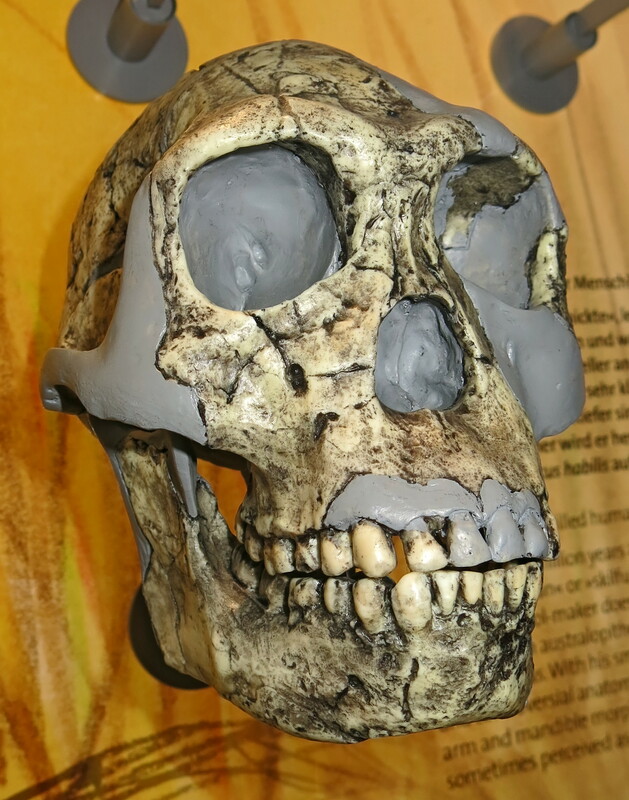 In its appearance and morphology, Homo Habilis is the least similar to modern humans of all species in the genus Homo (except the equally controversial Homo rudolfensis ), and its classification as Homo has been the subject of controversial debate since its first proposal in the 1960s. This is a 1 900 000 year old skull discovered in 1973 by Kamoya Kimeu in Koobi Fora, East Turkana, Kenya. 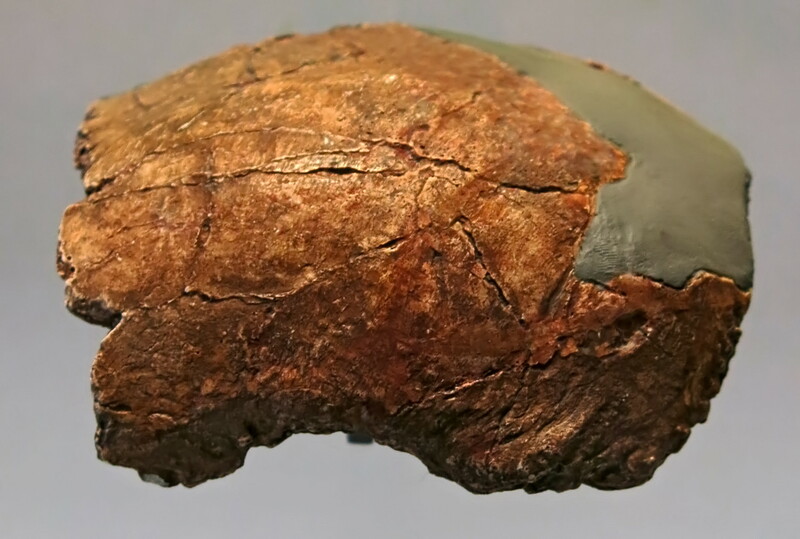 This adult skull has a brain size of only 510 cubic centimetres, which is only just above the average for species placed in the Australopithecus genus. Diorama of Homo habilis at a dead hippo. 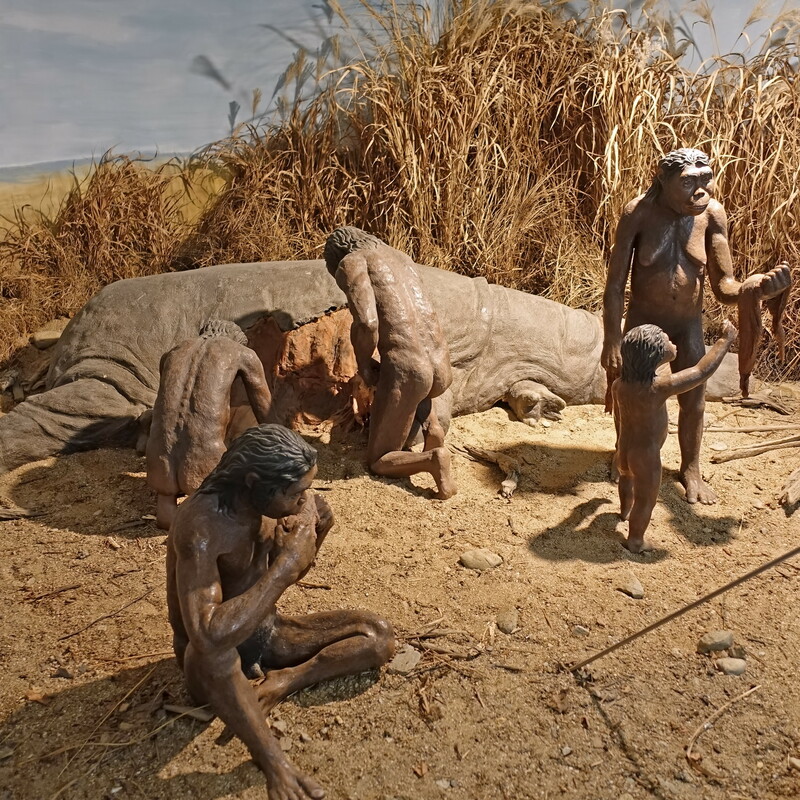 It is a scientific reconstruction of the find of a specific situation from Lake Turkana in East Africa. 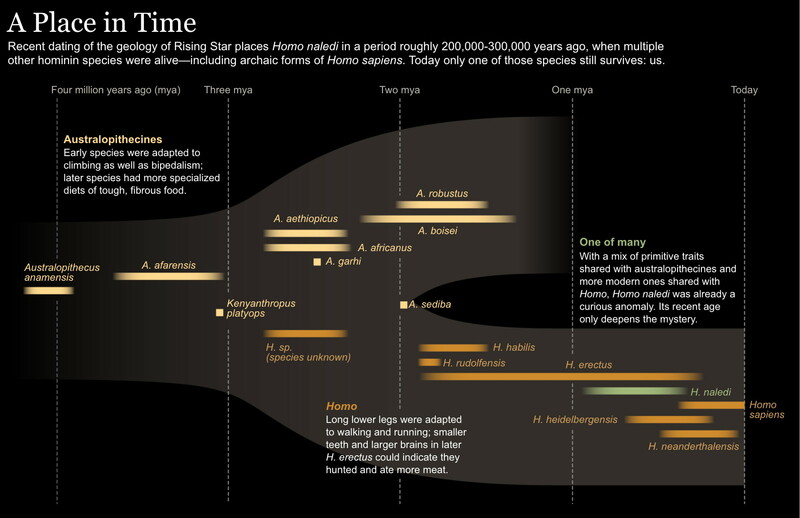 The age of the find dates between 1.6 and 2 million years. 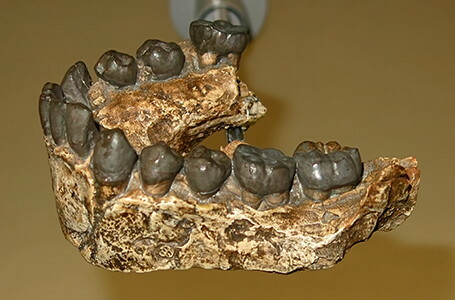 Homo habilis was not yet able to catch such a large animal as a hippo, and therefore in the drying environment of Africa, had a mostly herbal diet, supplemented by small animals and the found carcasses of dead animals. 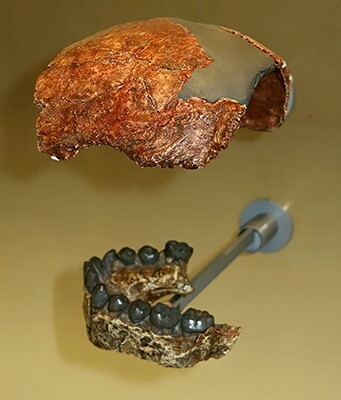 Partial cranium and mandible, type specimen, OH 7. 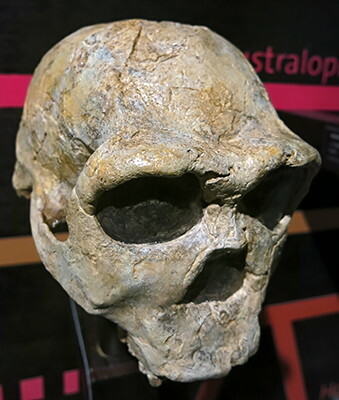 Olduvai, Tanzania. 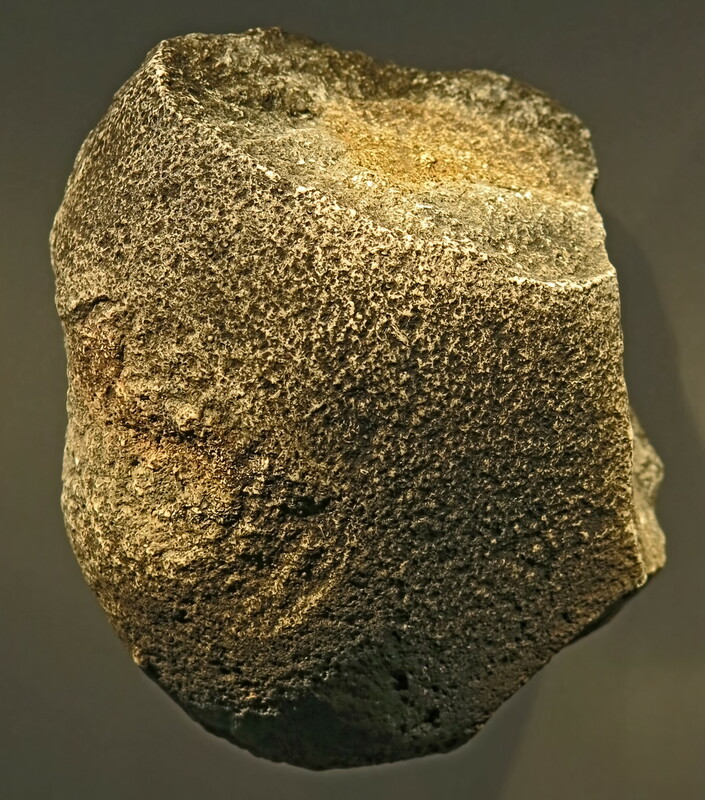 Circa 1 800 000 BP. 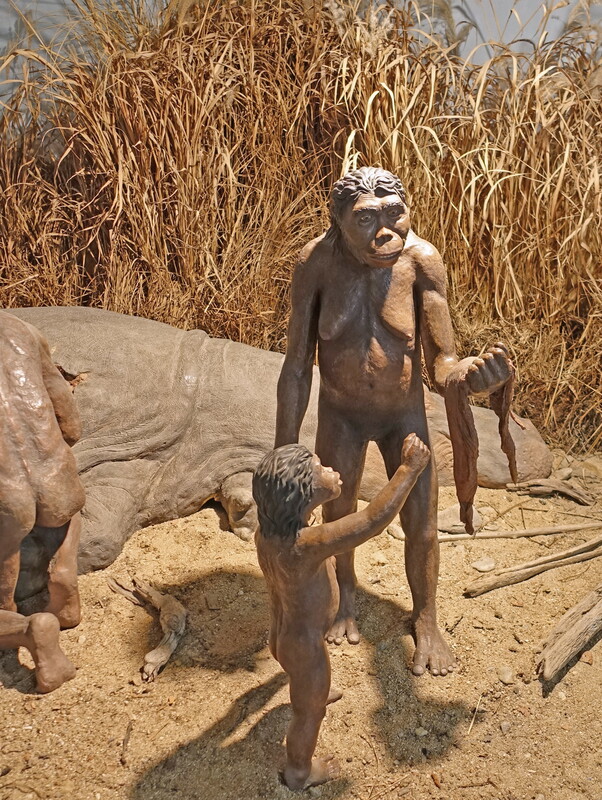 Diorama of Homo habilis at a dead hippo, showing here a mother with her child. Circa 1 900 000 BP. Circa 1 900 000 BP - 1 800 000 BP. A digging stick, possibly also used as a club for small animals or birds on occasion, was a necessary tool item for Homo habilis. 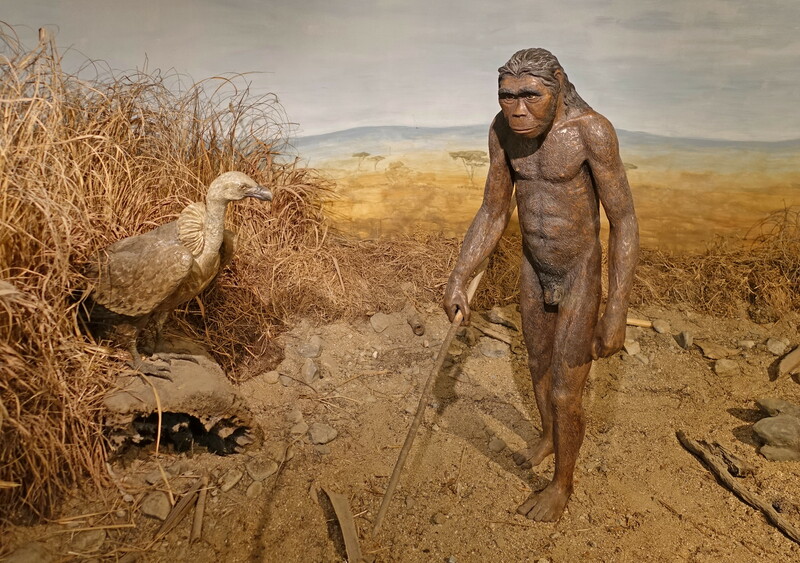 Circa 1 800 000 BP - 1 500 000 BP.